CLICK HERE to listen to our assembly song of the week. 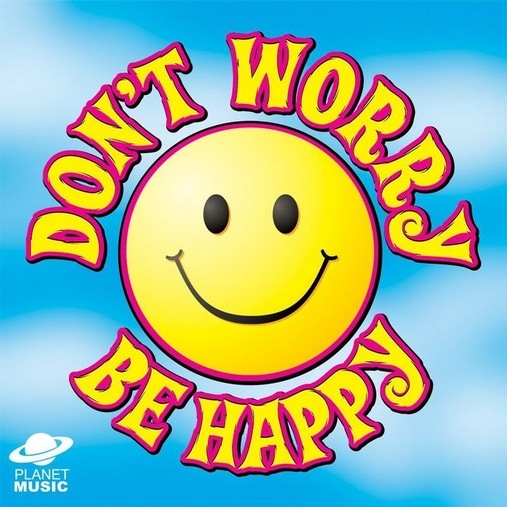 Listening Example: "Don't Worry, Be Happy"
Bobby McFerrin is an American singer best known for his 1988 hit song, "Don't Worry, Be Happy". 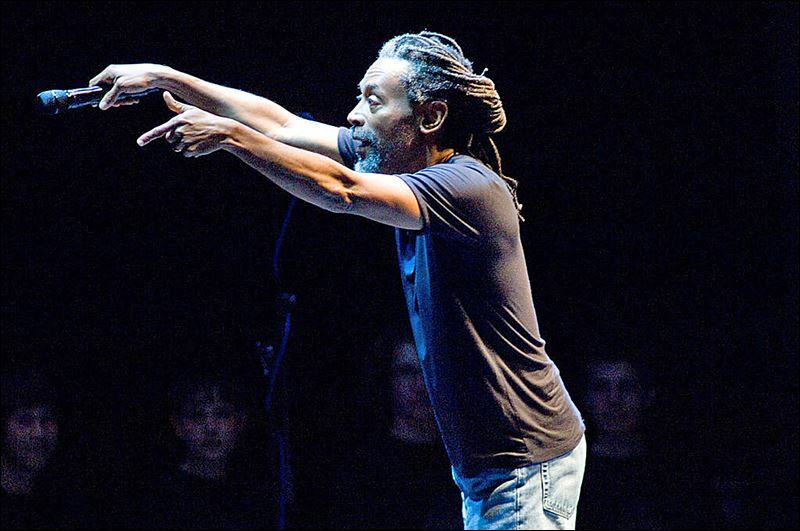 McFerrin is a ten-time Grammy Award winner who is known for his unique vocal techniques. "Don't Worry, Be Happy" was the first a cappella song to reach number one on the music charts, where it stayed for two weeks. A cappella means singing without instruments. The instrument sounds in the a cappella song are all voice parts and other sounds made by McFerrin, layered onto the melody. In other words, no instruments at all were used to record the song. 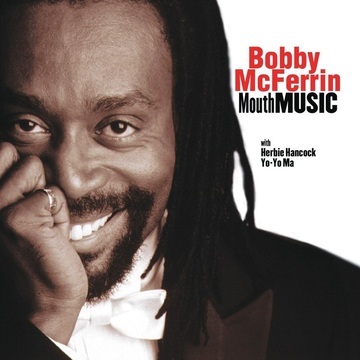 McFerrin also sings with a fake Jamaican accent. Watch a documentary with comments about McFerrin. 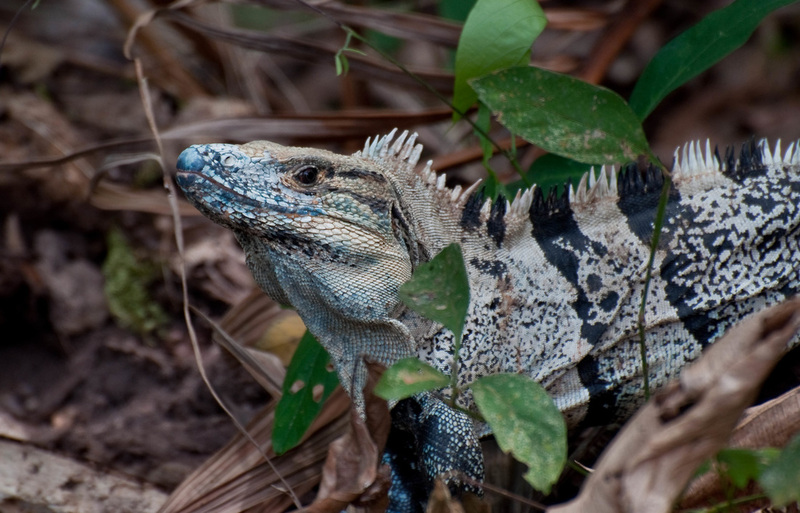 Manana Iguana is a song from a 1986 live album called Spontaneous Inventions. 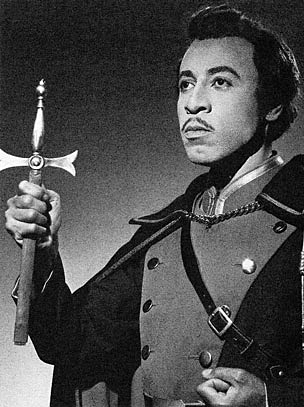 In the song, McFerrin demonstrates his unique vocal technique of being able to switch back and forth between high and low voice registers and create different tone colors with his voice. The song is about all the different ways to say 'goodbye'. 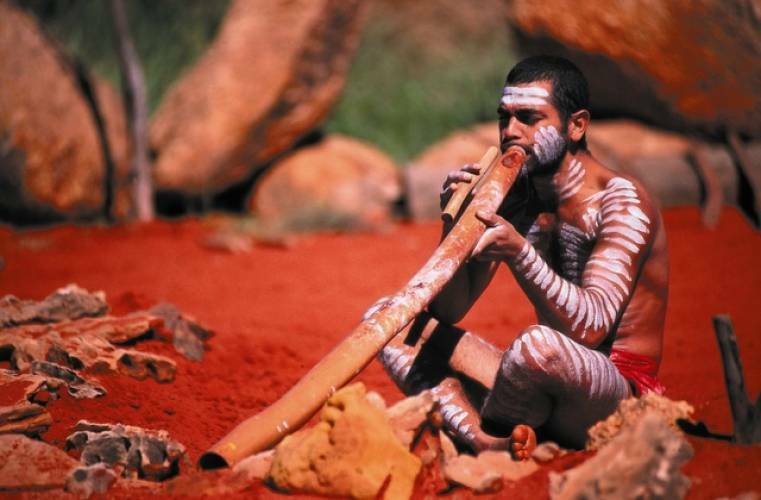 * Is our response to music innate, or is it determined by culture? 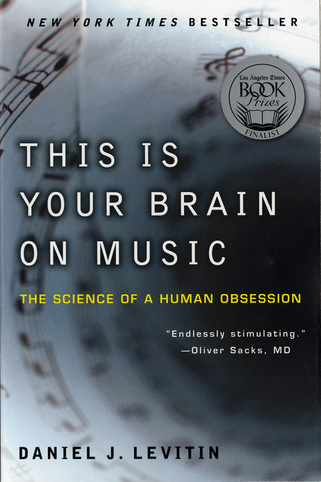 In 2009, music artist McFerrin and musician-scientist Daniel Levitin co-hosted an award-winning documentary based on Levitin's best-selling book, This Is Your Brain on Music. 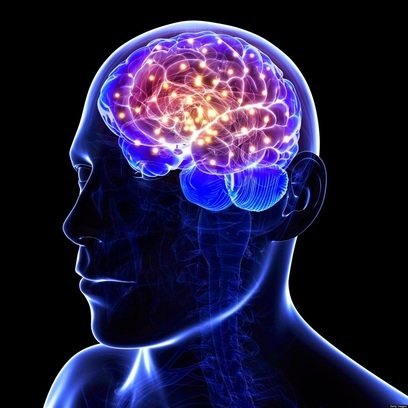 That same year, at a World Science Festival, McFerrin participated in live performances and cross-cultural demonstrations to illustrate music’s interaction with the brain and our emotions. We grow up in our society learning musical expectations. For example, we can usually anticipate when the last note of a song is about to occur. A scale common to many areas of the world is the pentatonic scale. This is a five-pitch scale using DO, RE, MI, SO and LA. McFerrin uses the pentatonic scale to demonstrate musical expectations through audience participation. 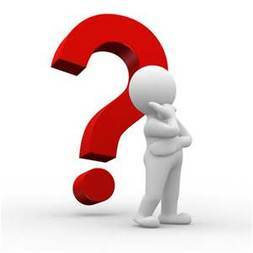 In your mind, can you follow along with the exercise? Listening Example: "Song Three of Three"
As a vocalist, McFerrin often switches rapidly between his modal voice register and falsetto. Modal voice is the one most often used for speech and singing. Falsetto is a voice range that sounds much higher and lighter than normal. 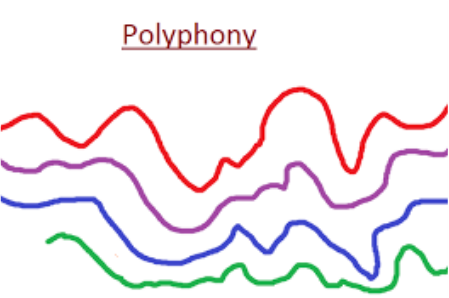 These rapid changes allow him to create polyphonic effects, or several layers of sound at the same time. McFerrin can perform both the main melody and the accompanying parts of songs, including a bass line and rhythm. 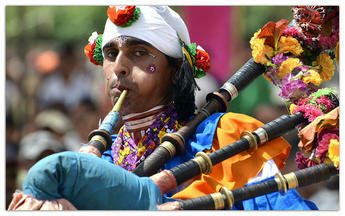 He creates percussive effects both with his mouth and by tapping on his chest. 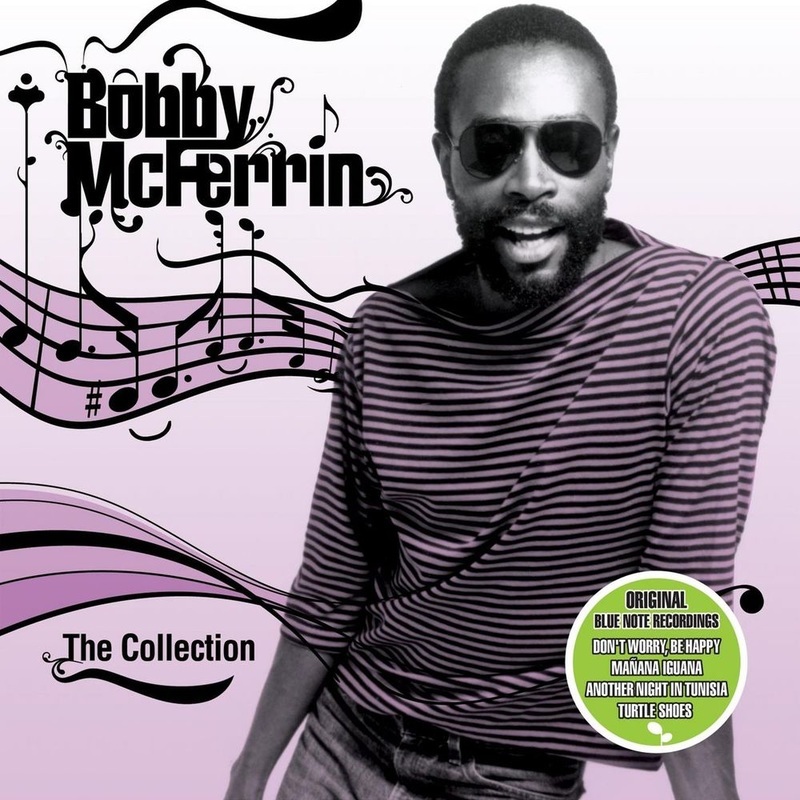 McFerrin improvises the blues a cappella, complete with melody, bass line and percussion. 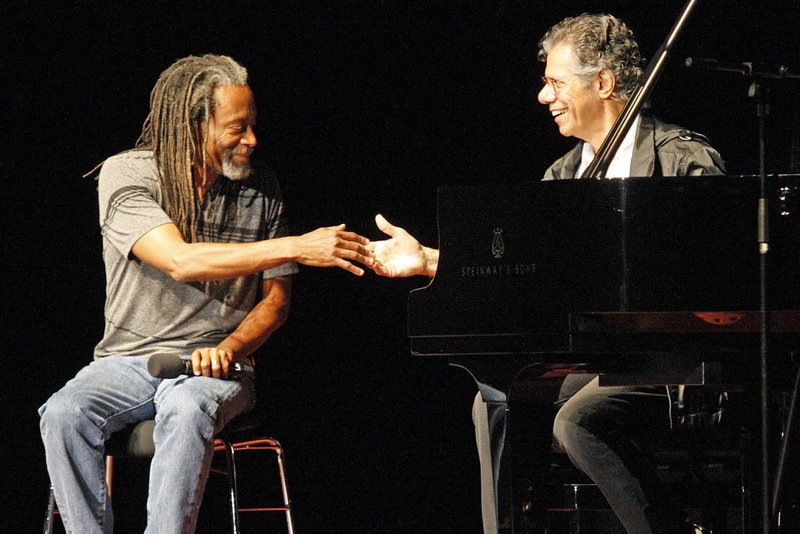 McFerrin improvises an accompaniment while he gets the audience to sing the song "I Can See Clearly Now, the Rain Has Gone". McFerrin performs J.S. Bach's Prelude in C while the audience performs Charles Gounod's Ave Maria. The McFerrin family has made important contributions to society. 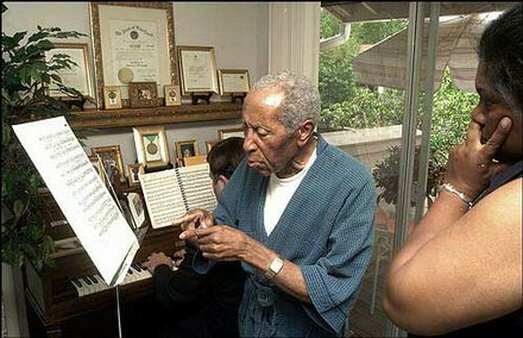 Bobby was born in New York City where he grew up hearing vocal music, as his mother was a singer and his father sang baritone in operas, including the 1959 jazz opera, Porgy and Bess by George Gershwin. 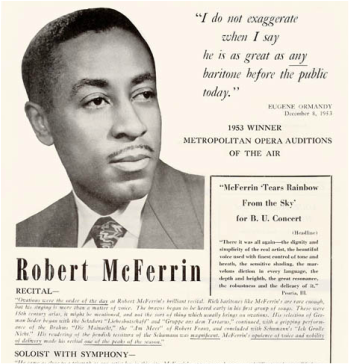 Robert McFerrin, Sr. was the first black man to sign a contract with the New York Metropolitan Opera. In a time of racial segregation, this was an important achievement for the McFerrin family. 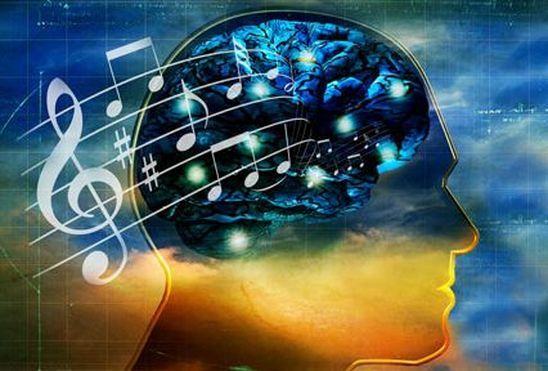 He suffered a stroke in the late 1980's that made him unable to speak his thoughts, but he could still sing and participate in music therapy sessions. 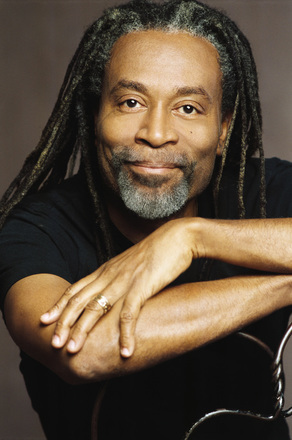 Bobby McFerrin loves classical music and has been a guest conductor for many symphony orchestras. He often ends concert appearances leading the orchestra in an a cappella rendition of the William Tell Overture, with the entire orchestra singing their musical parts instead of playing them. 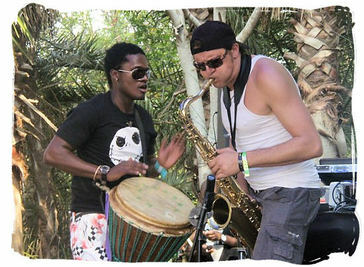 He has performed and recorded with a number of famous classical and jazz musicians, including Yo-Yo Ma, Chick Corea and Herbie Hancock. 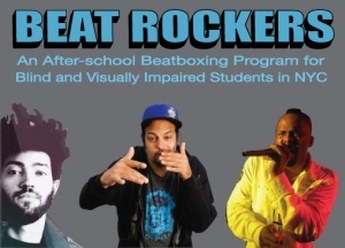 McFerrin also participates in various music education programs and makes volunteer appearances as a guest music teacher and lecturer at public schools throughout the U.S.
His son, Taylor, also a music artist, teaches beatboxing in Beat Rockers, an afterschool program for the blind and visually impaired in New York City. At concerts, McFerrin enjoys interacting with his audiences and getting them actively involved in the music. 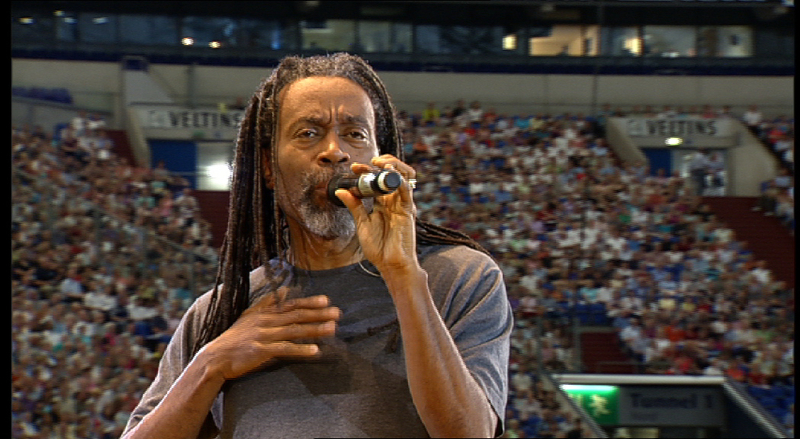 In our video today, he teaches the audience to sing harmony as he sings a melody. Eventually, he divides the audience into three groups and has them sing the melody as a round. 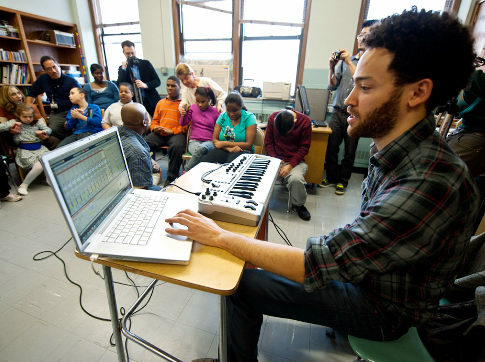 Watch how McFerrin gets his audience to participate. 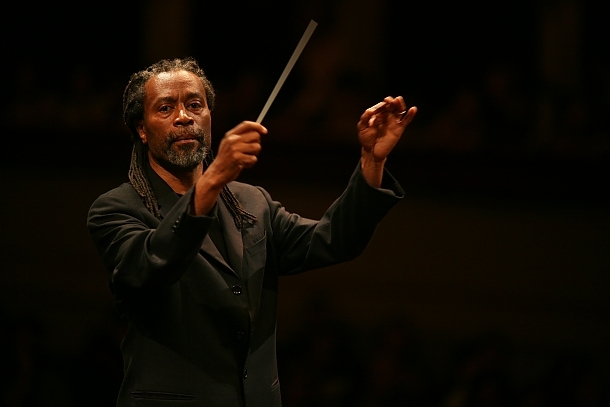 McFerrin conducts the Israel Philharmonic Orchestra in Tel-Aviv, 1995.